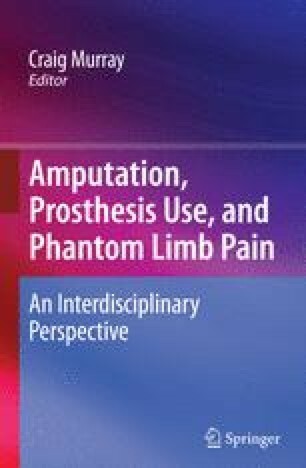 The impetus for the current book developed from the establishment of the Interdisciplinary Prosthetics Research Network in the United Kingdom, which held a conference to develop the book in June 2008. The aim of the conference was to encourage dialogue between the range of professionals and disciplines engaged in research and practice related to limb loss and prosthesis use. To this end, the Network and contributors to the book include biomedical engineers, computer scientists, nurses, prosthetists, psychologists, neuroscientists, and rehabilitation consultants, along with world-renowned research groups that have specialisms in the themes of the book (for example the Advanced Interfaces Group at the University of Manchester, the Pain Research Institute at Liverpool University, and the Centre for Rehabilitation and Human Performance Research at the University of Salford). In addition, the group has a wide range of multi-disciplinary, world-wide research collaborators, some of whom have made chapter contributions here.